Discover the power of becoming market-driven. Can your company afford to maintain the status quo? 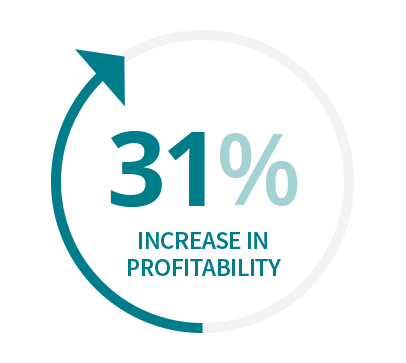 Research shows that market-driven companies are 31 percent more profitable and enjoy a shorter time to market. These real results come when you get your entire team on the same page, speaking the same language and working off the same framework. You’ll communicate better, have fewer challenges and be more effective. Yet, shifting away from the way you’ve always done things can be incredibly difficult. That’s where we come in. Pragmatic Institute teaches companies how to implement an outside-in approach that transforms your culture and delivers real, hard-dollar results. With real-world insights, actionable best practices and proven tools, our curriculum provides everything your team needs to build and market products that resonate. Our clients’ success is the single greatest testament to the power of our training. But don’t just take our word for it. Hear what executives at Frontline Technologies, SkyTouch and Infusionsoft say about the impact our training has had on their companies and careers. A recent survey conducted by TechValidate revealed that 94% of those who have taken our training are likely to recommend Pragmatic Institute. If you think that's impressive, wait until you see the rest of our numbers.